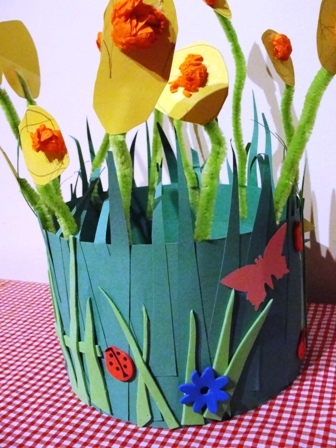 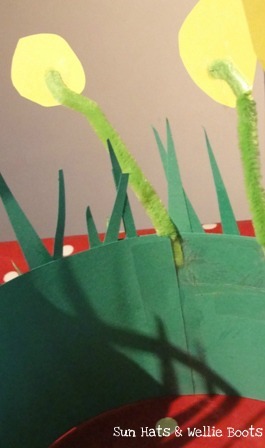 With Spring & Easter just around the corner, we've been busy creating our Easter bonnet! 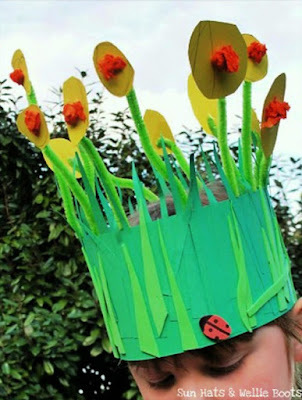 This was Minnie's first Easter bonnet & she was desperate to make a daffodil hat with ladybirds on, so we came up with this simple design which is ideal for preschoolers to create. scraps of coloured card & foam sheets. 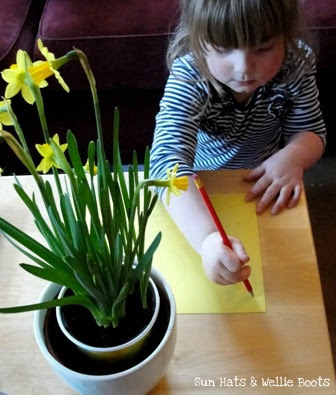 To create the flowers, Minnie took a look at our mini daffodil plant & observed the shape & size of each flower before creating her own daffodil shapes. 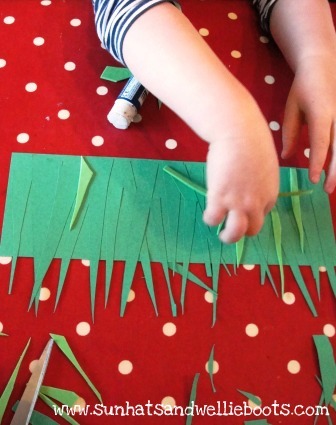 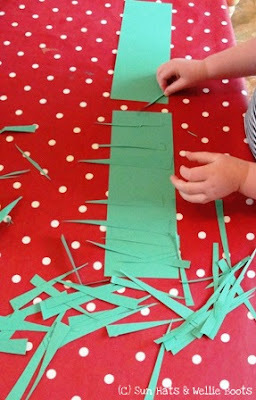 She cut these out & we attached them to the green pipe cleaners using sticky tape. For the centre of the flowers Minnie scrunched up sections of orange tissue paper. 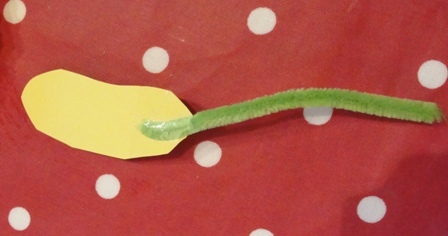 We attached the pipe cleaners to the hat with more tape, making sure the base of the pipe cleaner was covered so it wouldn't irritate when it was worn. 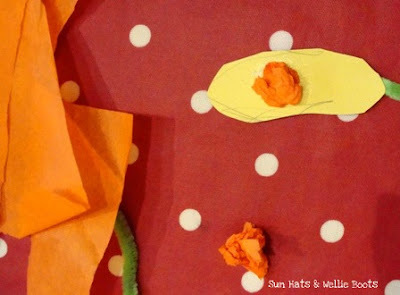 To create the hat shape, I wrapped the card around your Minnie's head to get an accurate fit, & then secured the edges of the card with tape. 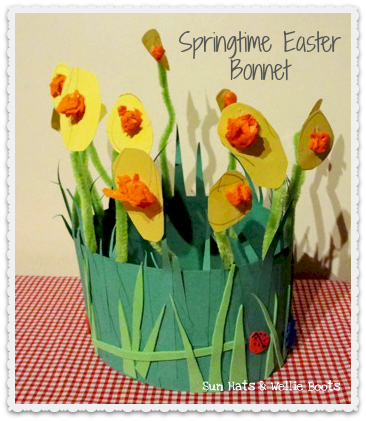 This hat has been paraded around the garden & house on several occasions & I love watching the daffodils swaying around as Minnie dashes about! A bright hat to welcome the arrival of Spring or celebrate Easter, & a neat way to explore shapes, measurements, size, colour, design, creativity, nature, & imagination.